Wow, highly impressed and satisfied. Kudos and big thanks! Web site is user friendly and experience is smooth, most of all great quality of products. Very impressive, keep it up! Although i always worry for online flower orders, the result was super satisfactory. Many thanks once again. I can not thank you enough. The rainbow bouquet was better than I had ever imagined it to be. The service was great. Perfect timing with delivery as ell. Simply amazing! soy un comprador colombiano que quedo gratamente sorprendido con el servicio, es una empresa muy seria y comprometida. Definitivamente volvería a ordenar por este sitio. I don"t live in Latvia more than 20 years, but still have my relatives there. 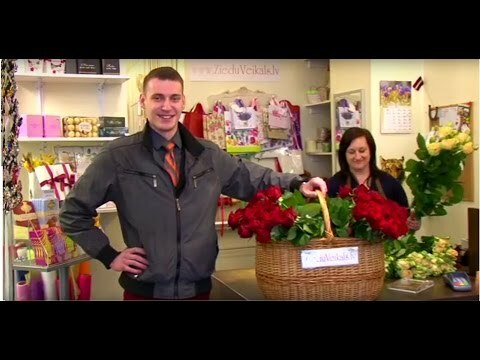 I was gladly surprised to discover this flower shop that is highly organized for an international business- easy way to order, huge ion, video, references, and amazing and fast service! Good job, guys! My Mom was very happy to receive her birthday"s flowers. Thank you and good luck! Zieduveikals.lv guarantees that the addressee will receive ordered flowers and gifts on time and this will bring them joy and plenty of happiness! Delivery of Flowers to the day is possible only if the order is made by 15:00 (Latvian time). 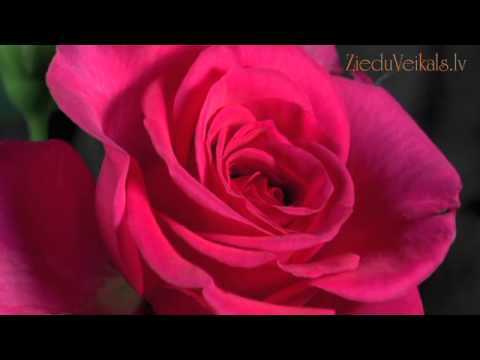 We do not deliver Flowers on official holidays in Republic of Latvia . We do not guarantee delivery of the order at certain time. The client is fully responsible for the correctness of the address indicated. Our supplied flower arrangements are only part of the very wide variety of assortments that is given to us by nature. Our professional florists do our best while fufilling this form of beauty. Although we do every arrangement like it was new and unique work of art, at finish it looks comparable to the sample on the picture. Sometimes we meet the situation when in distant Latvian towns some flower may not available for the bouquet that was ordered. Our staff do their best to make substitution of flower that will correspond to the amount paid and will be in similar color and assortment as well. We always deliver the freshest of flowers to recipients, but its further care depends upon the recipient him/her self. At the page that is connected with First Data Centre you will be asked to fill in your credit card data. Security of this page is strongly controlled and guaranteed by First Data Centre. Your information is not available to anyone from the bank and we only receive the bank`s response about your payment`s enrolment into our account. Latvia is the country, where the summer lasts only three months. All the more reason your beloved person will always appreciate beautiful flowers! Order now! !